Bought this amp to be my main performing amp. 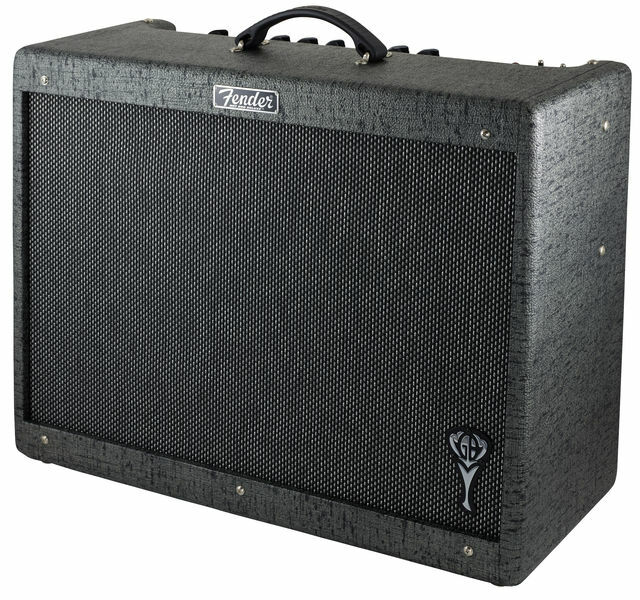 This amp is extremely versatile, durable and sounds awesome. I used it on countless functions and performances since I bought it, and must say it lives up to my expectations. The clean channel is really clear, with lots of headroom (makes it suitable to use with both single coils and humbuckers, without it breaking up ,even at high volume). The overdrive channel is excellent, giving two stages of overdrive, which would suite the needs of every player, except maybe those really heavy metal guys. It isn't noisy and has a very wide dynamic range. (Ideal if you like to use the volume on your guitar to clean up the signal). EQ and Reverb are very responsive and its not hard to dial in a good tone. One last thing that I would like to mention is that this amp reacts very well to pedals, both in front and in the loop. All in all a workhorse, aimed for those musicians who need to be flexible and desire a an amp which is durable and constant in its performance. I was waiting so many years for an amp to deliver all what has been told about but unfortunately it had many faulty features and serious issues like foot switch click noise from gain to normal,changing from normal to gain unexpectedly without pressing foot switch,speaker input noise,volume starting at 2,those for me are serious problem issue that I wouldn't recommend being jazz guitar player for over 35 years of experience and had to send it twice for repair ...bottom line not satisfied at all for the money and time consuming !! ID: 297119 © 1996–2019 Thomann GmbH Thomann loves you, because you rock!